Cricket Community is online Fixtures of Cricket World Cup 2011, ODI Series, T20 World Cup. 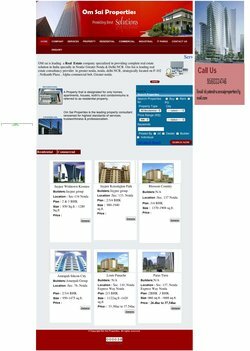 Guru Dev Realstate is a Real Estate Portal where a user can find different properties added by the Admin. It has modules such as Property Listing, photo Gallery. Deaz.in is online classified website where user can register, login and find different types of requirement in different categoty e.g jobs, sale, education, home services. Om Sai Properties is a Real Estate Portal where a user can register and login and find different properties added by the Admin and other user. 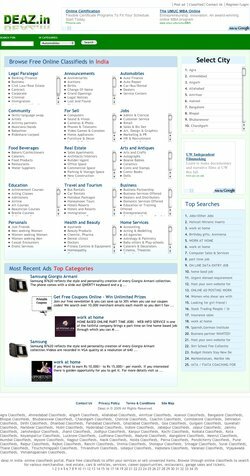 It has modules such as Property Listing, Advanced Search. Shivaproptech is a Real Estate Portal where a user can find different properties added by the Admin. It has modules such as Property Listing, photo gallery.